"What is the importance of higher Education?" Many students and parents have asked this question to themselves as well as to their friends and family. With many students harboring the desire to start earning straightaway after their school so that they can live independent, unrestricted lives, this dilemma is bound to occur. Why should we go to college? What difference will it make to our lives? Firstly, with the job market becoming more competitive every day, higher education offers graduates more jobs to choose from than are open to those who do not pursue education beyond high school, and graduates typically earn more than non-graduates. Secondly, higher education improves an individual's quality of life. 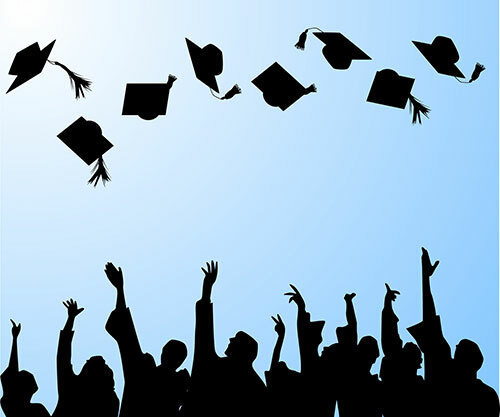 Studies show that, compared to high school graduates, college graduates have longer life spans, better access to health care, better dietary and health practices, greater economic stability and security, more prestigious employment and greater job satisfaction, less dependency on government assistance, greater community service and leadership, more volunteer work, more self-confidence, and less criminal activity and incarceration. In Kuwait, many educational institutes offer vocational as well as other training programs apart from the normal credit programs. To cater to the educational needs of the working population, many colleges offer distance education. The degrees and certificates offered by these colleges and universities are very convenient for working people as well as students. Working people needs these degrees to update their knowledge and skill level which will come handy in their promotion and achieving growth as professionals. Students can also pursue their degree and work and earn at the same time. Also, since professionals do not have the time to attend classroom classes, distance education comes as a convenient alternative. They can learn at a time convenient to them and from the comfort of their homes. Keeping the importance of education in mind, Kuwait Educational Center/ MEI for University Services, in affiliation with USCS, New York, aims to promote student achievement and preparation for global competitiveness by fostering educational excellence and ensuring equal access. The training provided by this center encompasses a broad range of courses specializing in Computers, Languages, Business Management, Commercial and Secretarial training. The main activities involve corporate training involving the ministries and private enterprises, computer based training provided to schools, Software Development of client-server and database packages ranging from application development for schools and small-scale business communities to provide the network infrastructure at all levels in embassies and multi-national enterprises. The group of institutes has risen to its present strength due to strong tie-ups in the form of affiliations to reputed international educational centers, like Manipal Universal Learning, India, etc, which provide globally recognized certificates which is not only job oriented but also comes to an affordable cost. •	Distance Education program for Bachelors and Master Degree from reputed Indian Universities for varied degrees. •	Secondary and Higher Secondary education through National Institute of Open Schooling (NIOS), Government of India. •	Placement service to well known International Universities and colleges. •	Counseling and Academic performance enhancement services for children through personality career development programs. •	Entrance exam preparation studies in collaboration with renowned training institutes for aspiring and Engineering and Medical College candidates. After almost three decades in the educational field in Kuwait, Mr. P. G. Varghese now sits at the helm as the Director of the group of institutes; Kuwait Educational Centre, MEI for University Service and Shaheen Training Institute. Interested students and parents can contact him or Mr. Jomy Varghese on 25618333/25615798/24721439. I would like to.do phd in radiography kwt. My daughter finishing her psychology (science degree) from UK and coming to Kuwait. Can she continue doing her Masters in Pyschology and then after PHD on the same. ALso I have done by BA, MBA and one year of Law in Bangalore. I need to complete my LAW. My daughter is studying 12th ICSE in Coimbatore, Tamil Nadu. She'll be completing her board exams in April. She's willing to study BBA in any of the university or institute in Kuwait. We're also residents of Kuwait. I want to pursue for Bachelors in Education in Kuwait any possibility let me know. I would like to Study my education through distance education programs, pls Help Where I have to Contact In Kuwait. i am glad to know that our neighbouring nation(INDIA) left no corner of the earth across the hemisphere, planting the roots. A round of applause to those doors. Talking about me,i am studying BBA here in Nepal and i am an internal auditor at Lomus pharmaceuticals, Nepal. Recently, i surfed through this site and a had a sort of desire to have my further education in Kuwait. As my uncle and aunt, who are working at hotel as manager similarly , at beauty parlour respectively somewhere in Kuwait, suggested me. I predicted my carrer development over there. So i would like you to help me. what can be the way? i would be glad to hear positive response from you. looking forward. I am a Postgraduate in English Literature from India. Now my husband needs to move into Kuwait for his job and so do I. I would like to do Ph.D.
Is there any possibility that enables me to do Ph.D in Kuwait?? How?? I have failled in std.12Th in logic sub.As i am working in Hospitality ind. I would like to obtain an Diploma in Hotel Management. Dear Sir , i have completed my bachelors degree in B.COM from MUMBAI UNVERSITY . I want to do MBA in MARKETING. Could you please provide me the details of the course. The fees , when to apply for the course etc. I want to do bts pls refer me,idono what to do i am very intersted to do my futher studies..i want to join tamil nadu open university ..
i want to do LLB in LAW, if any possibility in kuwait , please be inform me. Any University in Kuwait provides M.Tech in Electronics & Communication? I just finished my BCom degree in Pune and now have come back to kuwait. I would like to know if there are any good diploma programs or post graduate programs which are for 1 year or less in any commerce subjects such as banking, finance, insurance, business, etc. Also if you know of any 1 month basic courses please let me know. I reside in Salmiya. I completed my msc chemistry I am trying for teacher post in kuwait but I havenot any teacher diplama course. so I want the details about deplama course for teachinging kuwait. i'm passout diploma in mechanical engineering and i deside to learn b.e./b.tech in mechanical engineering in distance programe.if any colledge in kuwait so please rply me and how many fees? i have completed my degree i.e bachelor degree in physiotherapy.iwant to do master inphysical therapy in kuwait.can u please tell me the university offering master degree course and all the details related to the course like university name, duration, fee structure etc. can i know calicut university offering any course for material management studies if have pls tell me the details. I would like to do chemical engineering. i did diploma in polymer technology. in kwait there is any course and exam for this course. pls advise me. Please send how to do the Mphil in Management correspondence from kuwait, because it is not possible to do in regular mode. i'd like to finish my BE in EE i im currently in kuwait.please send me all the info needed. I am a commerce field student after my 12th i came to kuwait and started working here as a secretary.Now i am planning to continue my graduation can anyone help me out with this? I just want to the know the complete address of the institution where i can do my graduation.Hope to get a reply from you soon thanks. I would like to do BBA by distance education. I would like to do MBA any course. Please send me the course details like University, fees, duration, documents needed . Also I need my Degree certificate. Exam passed 2010 April but iam not recived my cerificate please advise me. Please let me know centers available in Kuwait and the details like feestructure / starting month etc. i would like to study Bhm from kuwait by distant.and i am also want to know about the institutions which are in farwaniya area. sir is here any Btech education in Kuwaith, if avilabel the give me details with contact ph. number. I am completed B.E., in EEE, I would like to study ME in Kuwait in distance Education. i would like to study BBA from kuwait by distant.and i am also want to know about theinstitutions which are in fahaheel area. could tell me if sr. secondry admission can be taken in NOIS in kuwait itself. and if so, are books available in kuwait. after 12th what correspondence or other courses can be pursued by an indian student of humanities stream. i am in bsc computer science graduate. i am iterested in work with kuwait companys .i am living in india . my degree project name is defect traking system in visualbasic language. i want to do b.tech in ece in distance mode in kuwait is there any possibilities. I am planning to bring my daughter to kuwait after her 12th std. kindly let me know what are the courses available with commerce as main subject or else what other courses are available in your institute. pls guide me. I am planning to bring my daughter to kuwait after her 10th std. kindly let me know what are the courses available after completion of 12th std with science as main subject or else what other courses are available in your institute. pls guide me. IS ministry of private education accept post graduate diploma in mental retardation from ignou by distant mode to become a specialneed teacher. i have adiploma in mechanical engineering working in kuwait. i want to do a distance degree in meachnical engineering.also advice me some short term courses. My daughter doing B pharm in Banglore, is there any chance to do Ms in Kuwait? Can i do MPhil from any of the universities from Kerala as distance education. I completed Bsc mathematics degree course under the calicut university as a private registration.But i failed whole subjects exept second language(arabic).Now i am living in kuwaith.Can i write my losed papers from kuwaith? pls sent the details..or inform me how i can get a degree from here.. I would like to do distance study for Bcom degree please tell me total information I compleate intermediate i would like to join Bcom but how it is possible distance stud y hereplease tell me. Is there any coaching class and examnation centre for "AMIE".Is it approved/recogonised in kuwait. I would like to do MBA any course. Please send me the course details like University, fees, duration, documents needed etc. My son going to appear for 12th board exam. He wants to do BBA or hotel management course in Kuwait. Is there any college offering this course. Thanks. i need to do MBA .please send me the details like duration , fees and other required details. Sir, I would like to do MBA from your university. Is it recogonised in kuwait, I can attest that certificate? hello sir, i m working as a lab technician in civil engineering field and i want to enhance my education so i request you to please tell if any certification course or diploma after 10th is available ? Is there any online correspondence course so that i can do my BBA. I am presently working and i have 6-1/2yrs work experience. i want to know about CIVIL ENGINEERING/B-TECH program in KUWAIT. already i have Diploma of associate of engineering (civil) please guide. My daughter wants to do BBA is there any is there any Indian univesity in kuwait doing this. HI, can I do a Diploma course in Mechanical Engineering from Kuwait? I'm in desperate need of doing that any information in this regard will be a great help. I wanted to do MBA while i am working can anyone plz sugess about, institutions. Any Civil Ddiploma courses are available in kuwait? I am interested to apply for a distance study program. please advise me. i want to do BA pls refer me, i dono what to do but im very interested to do my further studies. "Why should we go to college?" This is a 19th Century question!!!!! I dont think anyone today need any explanation on the necessity of higher education. Any engineering degree courses are available in kuwait? Is there any coaching classes for 2012 enter exam preparation for science/Eng..
of the class and fees. Is there Network Engineering degree course? 25618333 or 25661606 for all your enquiries. By distance study progarm the degree is acceptable in Kuwait ?